The last reservation of this item will conclude on April 27. For rentals that require shipping or a pickup at a non-headquarter location, please select a later date for your arrival. Headquarter offices are the only locations that can accept a same-day reservation, as transit time is not calculated in this date. 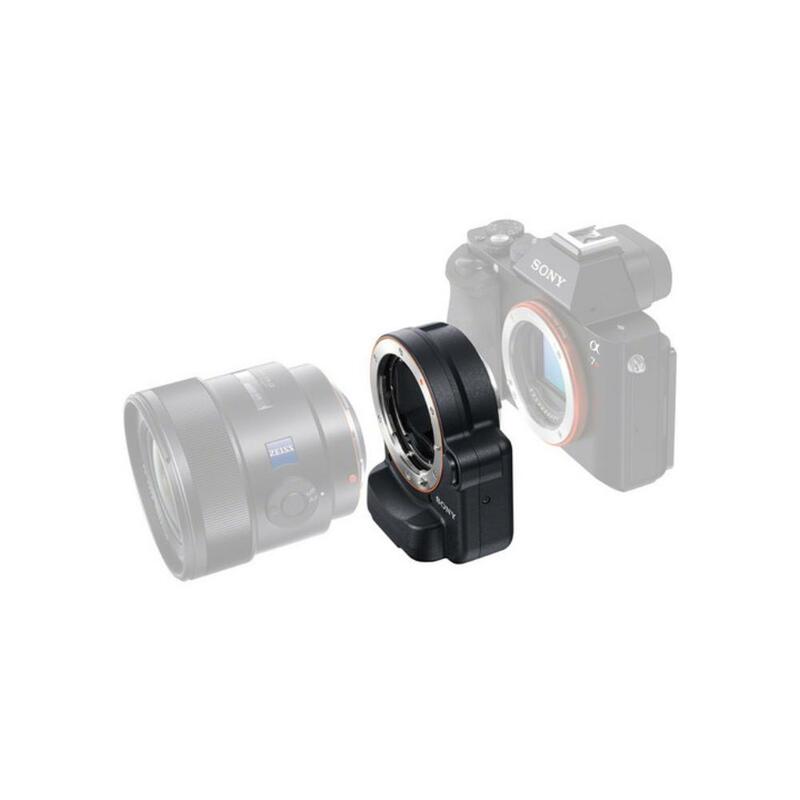 The LA-EA4 Sony A Mount Lens to Sony E/FE Mount Camera Adapter allows you to pair Sony A mount lenses to Sony E mount cameras with full frame (such as the Sony a7R III) or APS-C (such as the Sony a6500) sensors. It is equipped with a translucent mirror for maintaining continuous phase detection autofocus with a 15-point built-in TTL system. It also has an aperture mechanism for supporting auto exposure. 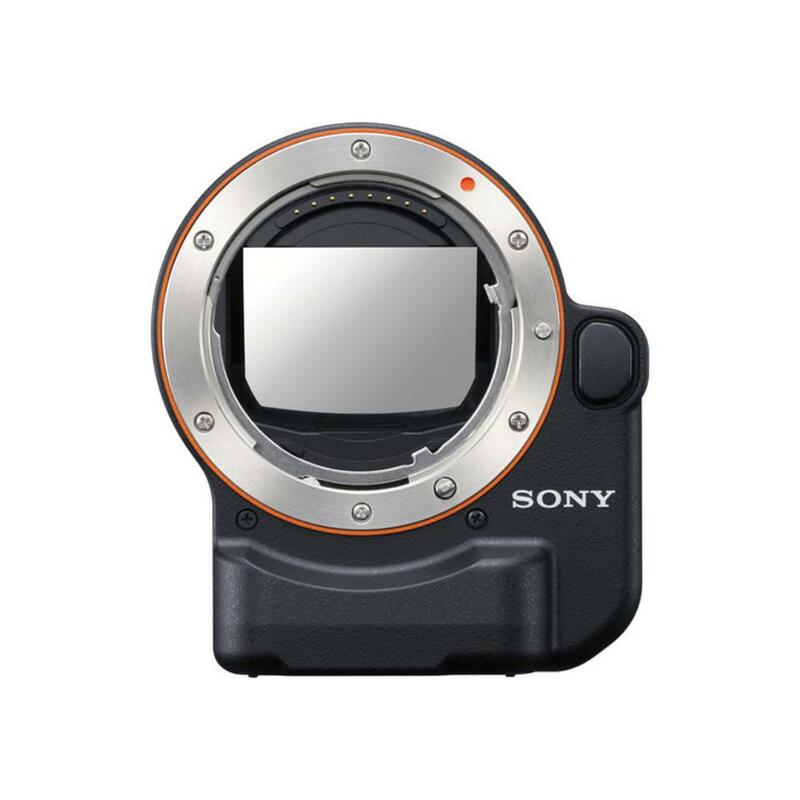 • Compatible with pairing Sony A mount lenses to Sony E mount cameras with APS-C or full frame sensors. • Your camera may need to be updated to its latest firmware version in order to use this adapter properly. • For more on compatibility, please see Sony's LA-EA4 compatibility page. • Expect approximately a half a stop of light loss when using this adapter.